Held in celebration of the 70th anniversary of the founding of the New York Society for General Semantics, a panel discussion on the presidential election campaign entitled "Political Talk and Political Drama: Election 2016" took place on September 9th, 2016, and featured Terence P. Moran, Professor of Media Ecology, New York University; Susan J. Drucker, Professor of Journalism, Media Studies and Public Relations, Hofstra University; Paul Levinson, Professor of Communication and Media Studies, Fordham University; and Marvin Kitman, author, humorist, and critic. The panel was moderated by NYSGS President Lance Strate, Professor of Communication and Media Studies, Fordham University. A second panel discussion on the election was held more recently, and will be made available in the near future. Stay tuned! Have you taken a look at our Links and Resources page yet? If not, why haven't you? And if you have, have you checked it out lately? We've added some new items to our Resources Available on This Site box that we are happy to make available to you. This being a presidential election year in the US, we thought it appropriate to include Terence P. Moran's ETC article, "POLITICS 1984: That's Entertainment". Moran's analysis influenced Neil Postman's discussion of politics in his best known work, Amusing Ourselves to Death, and remains relevant for politics in 2016. The topic of race remains one of the most important controversies and concerns in the US, which is why we decided to include "TWO ARTICLES ON 'RACE'" by the anthropologist Ashley Montagu, published in ETC back in 1944. This also serves as a reminder of the significant role that general semantics has played in education regarding stereotypes and prejudice. 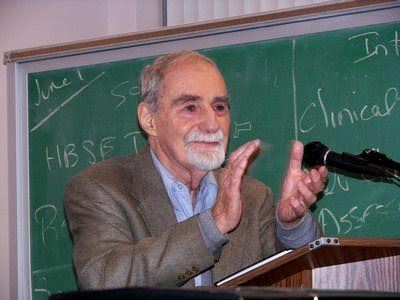 As a follow-up to our previous post, We Mourn the Passing of Past President Allen Flagg, we are also including "An Interview with Allen Flagg" by Martin Levinson, published in ETC in 2006, and "'The World in Quandaries' Symposium," a report by Ben Hauck published in ETC in 2007. Finally, we are pleased to make available a rare and lovely essay by Christine Nystrom that continues to generate great interest, "Literacy as Deviance," published in ETC in 1987. Please let us know if you find these resources useful, and if you'd like to see more! Members of the NYSGS community gathered at The Player's Club on the evening of Thursday, June 2nd, 2016 to meet and celebrate the beginning of a new program for the organization. Around 30 friends of NYSGS came together to share food and drink, and to hear remarks from the current president, Lance Strate, as he announced a regular series of events for the Fall. Dr. Strate offered warm remembrances of NYSGS past-president Allen Flagg, who had passed away a few nights earlier, and opened the floor to friends to share their memories, including Cynthia Dantzic, Michael Fandal, Bob Larick, NYSGS Secretary and IGS Trustee Jacqueline Rudig, and NYSGS Treasurer and IGS President Martin Levinson. 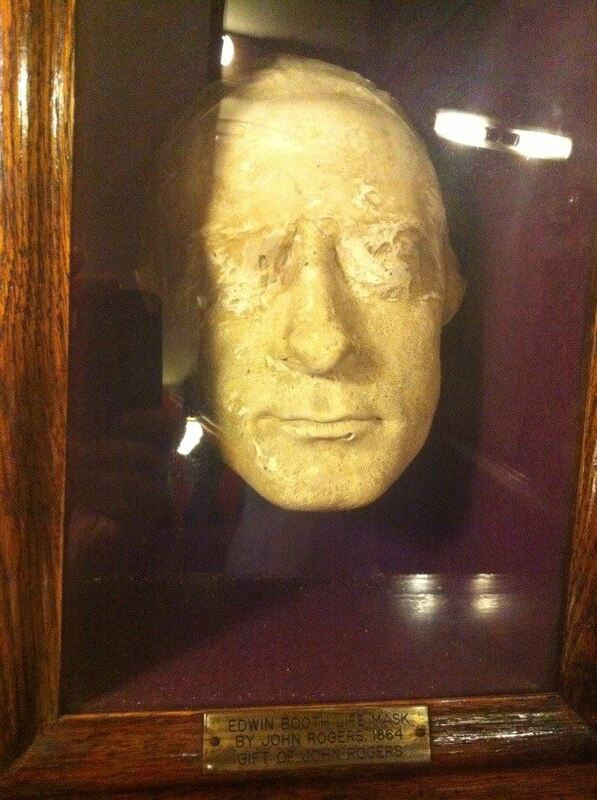 At the close of the evening, Dr. Strate led a number of people on a short tour of The Players Club, including a visit to founder Edwin Booth's carefully preserved quarters, and a close look at his "life mask," dated 1864. It was a wonderful introduction to NYSGS's new home in the Gramercy Park neighborhood of Manhattan, and we look forward to our next meeting. The New York Society for General Semantics mourns the passing of our Past President, Allen Flagg. 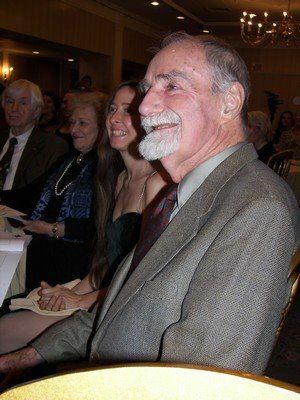 Allen was President of the NYSGS for many years, and remained a member of the NYSGS Board of Directors, as well as a Trustee of the Institute of General Semantics, and an officer of the Friends of the Institute of Noetic Sciences. 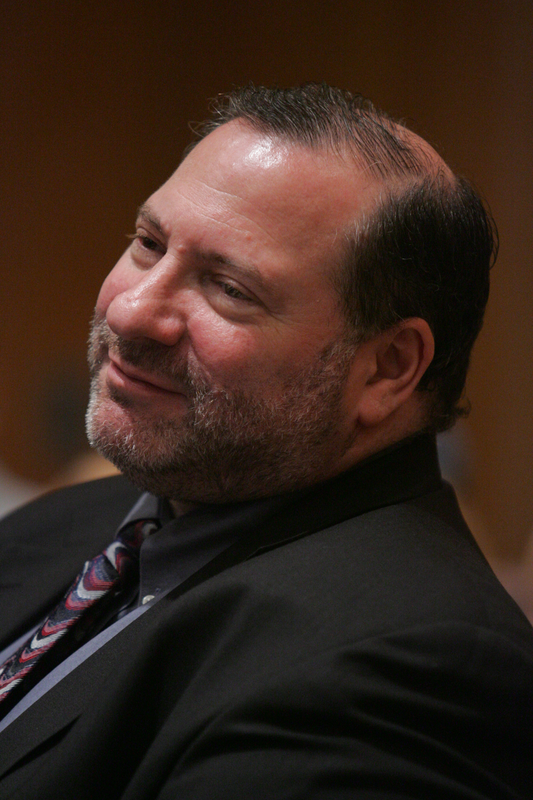 IGS President and NYSGS Treasurer Martin Levinson commented, "Allen was a true Renaissance man and a kind and thoughtful person. He will be greatly missed by those of us in the general semantics community. The world is poorer for his absence." Allen Flagg was the recipient of the J. Talbot Winchell Award "in recognition of his lifelong service, accomplishments and time-binding efforts" at the 56th Annual Alfred Korzybski Memorial Lecture, November 14, 2008, at The Princeton Club, 15 W. 43rd Street, New York City. For me and for many others, and for many, many years, Allen Flagg was the New York Society for General Semantics. He was an inspiration, I am very much saddened by his loss, and one of the main reasons I took on the presidency of the NYSGS was to carry on his legacy. Alive and Well in New York! What an honor and a thrill it has been for me to take on the role of President of the New York Society for General Semantics at the start of this year! A great deal of work has been going on behind the scenes to get this organization back up and running, and we are looking forward to some exciting programs as we move forward. The NYSGS has for many years offered a variety of thought-provoking, mind-expanding, intellectually stimulating, not to mention entertaining, and yes, even spiritually uplifting events, and I intend to uphold that tradition. 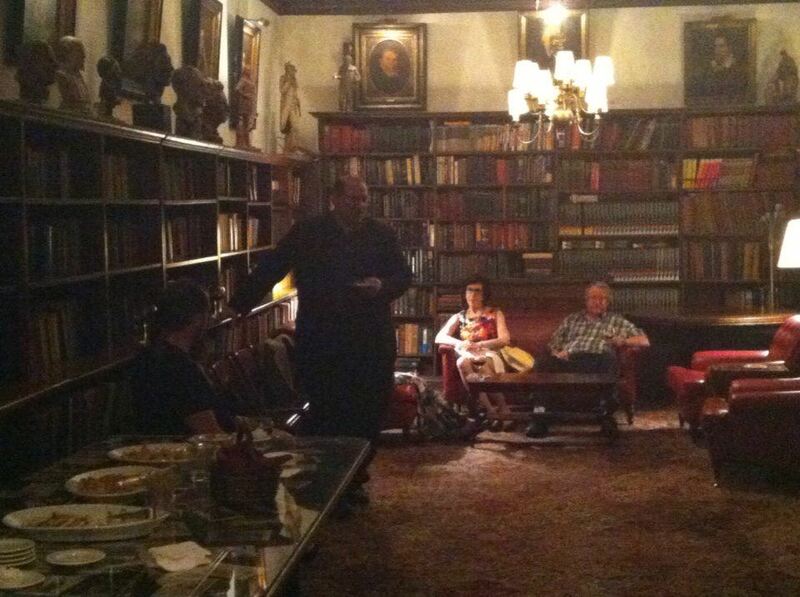 We have arranged to hold our events at The Players Club in Gramercy Park, a site that is historic and hospitable, and will undoubtedly help us to unleash the creative potential of our non-aristotelian approach. We will also continue our long association with the Institute of General Semantics, including our co-sponsorship of the annual Alfred Korzybski Memorial Lecture and Symposium. Please be sure to fill out the subscription form on our home page so we can send you updates about our upcoming events, news, resources, etc. And join us for the next phase in the history of NYSGS. I'd like to close with a word of appreciation to the other NYSGS officers, Vice-President George Barenholtz, Secretary Jackie Rudig, and Treasurer Marty Levinson, as well as to past president Barry Chase, and especially to long time past president Allen Flagg, whose many years of service and enduring dedication has been an inspiration to us all! And with that, I will end this introductory post, asking only that you stay tuned, we've only just begun!